Imagine the scene: your Head of School comments that your latest research output is problematic because it involves a criticism of government, a wealthy pressure group, or some major corporation. “You do know where research funding comes from?” he asks. “You really need to tone it down if you know what’s good for you and the School.” What is your response? Well, if you want to tone it up, the law is on your side. Here we outline the protection offered to academics in New Zealand who wish to act as the “critic and conscience” of society. (vi) the restrictions to freedom of expression arising from the human rights framework. Followed by some suggestions for further reading. The American Association of University Professors was formed in the late 19th century to protect academics against the sort of threat mentioned in the opening scenario. The Association developed a statement of principles relating to academic freedom that has been adopted by many US tertiary institutions. New Zealand is fortunate in having statutory provisions that protect academic freedom. These can be used by the institution, which has legal personality, and by its members. The protections are to be found in Part 14 of the Education Act 1989, which deals with tertiary institutions. Section 160 of the Act sets out that the object of Part 14 is to give tertiary institutions “as much independence and freedom to make academic, operational, and management decisions as is consistent with the nature of the services they provide, the efficient use of national resources, the national interest, and the demands of accountability”. (e) the freedom of the institution through its chief executive to appoint its own staff. Some of these freedoms are aspects of institutional autonomy. But (a) and (b) have a different character, because they do not relate to the institution: rather, they relate to what staff and students within the institution can do, namely make choices as to research and also engage in debate in ways that may involve controversy. The protections of institutional autonomy and academic freedom are supplemented by important language found in section 162 of the Act. This section relates to decisions to allow new tertiary institutions to be registered. The statute sets out that a number of factors should be taken into account, including what are said to be the functions of tertiary institutions. In short, a university is not worthy of the title unless it performs the role of critic and conscience (although other tertiary institutions, including colleges of education, polytechnics, specialist colleges and wananga, may also have the role as part of their function). The various parts of the statutory language just noted were all introduced by the Education Amendment Act 1990. Parliament took the trouble to set out the purpose of this statute in a relatively lengthy preamble to the statutory words. The amendments were passed “with a view to” achieving various aims. One was the promotion of the institutional independence captured in the language of section 160, already noted. Another was “(d) Contributing to a dynamic and satisfying society by promoting excellence in tertiary education, training, and research." So putting together the different statutory provisions, and following the usual legal technique of reading them holistically, there is an institutional duty to help society be dynamic – one that pushes the boundaries and is active – and be satisfying – one that promotes as much well-being as is possible, by playing the guardian role of critic and conscience. It’s the law! To understand how this academic freedom, including the critic and conscience role, translates to the individual academic within the institution, whether staff or student, it is necessary to consider both the Education Act’s language and also some other parts of the law. Firstly, looking at the language in the Act, the freedom of research and to be controversial set out in section 161(2) and recorded as belonging to individuals is something that operates not only in the context of the relationship between the state and the academic but also in that between the employing institution and the academic. This is because section 161(4) notes that university councils and chief executives are required to give effect to the intention of Parliament when performing their obligations. So they are required to maintain and enhance the individual freedoms that are component parts of academic freedom. There is no express equivalent of this in relation to the language of section 162 that sets out the critic and conscience role. But it is evident that an academic institution’s performance of that function is invariably going to be carried out through individual or collaborative efforts of academics and students (with the university mentoring or fostering them). So academics – by virtue of that status – can operate under the umbrella of exercising the function of critic and conscience. And the specific individual academic rights as to freedom of research and freedom to explore what is unpopular fit naturally as a component of that function. The academic staff members of The University of Auckland have a responsibility to advance and disseminate knowledge. The University undertakes to uphold the academic freedom essential to their research, scholarship, practice and teaching roles and to their statutory role as the critics and conscience of society. As well, in the University’s HR policy relating to the standards to be expected of academic staff at the different grades, contributions to the critic and conscience role of the University are listed as a relevant factor in assessing the performance of the individual academic under the heading of “contributions to the community”. These documents make clear that, at this institution, an individual academic (or group of academics) can act in the critic and conscience role: i.e., it is not just a function of the collective university. There are limits on academic freedom. Section 161(3) of the Act notes that institutions have to ensure high ethical standards, complete with public scrutiny essential to maintain them, and accountability and the proper use of resources: these are factors to be taken into account in the exercise of academic freedom. This is expressly labelled as an obligation of the institution, and so may be thought more relevant to the managerial aspects of academic freedom. But they are also relevant to the substantive rights as to commentary – and commentaries will usually be made by individual members of staff. So what of the restrictions that apply to individual academics who are making use of their (clear and express) right “to question and test received wisdom, to put forward new ideas and to state controversial or unpopular opinions” and their (corollary and implicit) right to act in the critic and conscience role? There seem to be two obvious ones that are mentioned within the statutory language, the requirements of the law and of ethics; and it is also worth considering whether there are limitations arising from the very concept of critic and conscience. The definition of the academic freedom to be controversial requires that it be within the law. This means, naturally, that the requirements of the criminal law – for example, as to obscenity, making threats or inciting violence – have to be met. It should be noted, however, that there are often legitimate arguments as to what a particular standard entails – such as what is offensive or obscene or insulting – all words used in section 4 of the Summary Offences Act 1981. There is also the civil law and, in particular, the possibility of an action in defamation if there is a statement that diminishes the reputation of someone else. A university may have questions raised as to whether an academic acting as such makes the institution vicariously liable for the actions of the academic and hence equally responsible for the payment of damages. Further, the language of section 161(3), which provides for the limitations on the statutory guarantee of academic freedom, notes that high ethical standards have to be maintained by institutions. And so it is proper for there to be regulation by universities that is based on the requirements of ethics. This might provide fairly broad requirements as to fairness in dealing with other people and having an adequate basis for a comment: so this might mean that it is only proper to make a negative comment about someone if they have or will have a reasonable opportunity to respond (an ethical process involving the person affected) and that there is proper consideration of negative and positive explanations before a negative conclusion is stated (an ethical process of reasoning). It may mean that academics only express an opinion in relation to an area of their expertise because of the assumption of credibility arising from an academic title (an ethical acceptance of limitations). The very concept of critic and conscience may also have limitations implicit in it: what does the concept mean? Again, let’s start with some ordinary understanding of words. A critic is someone who is willing to review a situation and point out its deficiencies – but is it also part of the role to make positive suggestions for change? Doing this in a way that follows the “conscience” part of the phrase suggests that there should be a principled basis for making comment, which is grounded in a desire to make sure that the situation addressed is improved. Everyone has the right to freedom of thought, conscience, religion, and belief, including the right to adopt and to hold opinions without interference. Everyone has the right to freedom of expression, including the freedom to seek, receive, and impart information and opinions of any kind in any form. These rights are not, however, absolute, because under section 5 of NZBORA the rights can be subject to “such reasonable limits prescribed by law as can be demonstrably justified in a free and democratic society” (and only such limits). So there can be laws that limit freedom of opinion and expression, though they have to be consistent with a free democracy. The laws in question can include the criminal law but also the provisions of the Education Act noted above. The restrictions that can be imposed on this (and any other right) are set out in Article 29.2 of the Universal Declaration, which allows limitations that provide “due recognition and respect for the rights and freedoms of others and of meeting the just requirements of morality, public order and the general welfare in a democratic society”. There is one specific restriction in that Article 20 of the International Covenant on Civil and Political Rights 1966 prohibits propaganda for war, and also any incitement to discriminate or be violent or hostile in a way that amounts to national, racial or religious hatred. Otherwise, the general restriction is that set out in Article 19.3, so restrictions have to be necessary (which is a high standard) and in support of one of the objectives listed. These are sensible and consistent with the suggested requirements of ethical academic practice listed above. 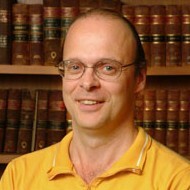 Kris Gledhill was a lawyer in London for two decades before joining the Faculty of Law, University of Auckland. He is currently Professor of Law at the Auckland University of Technology (AUT).